The Ohio river is home to populations of various species of mussels that are essential to our overall ecosystem. Freshwater mussels are not only an important food source for muskrats, waterfowl and fish but are also very important water quality indicators. 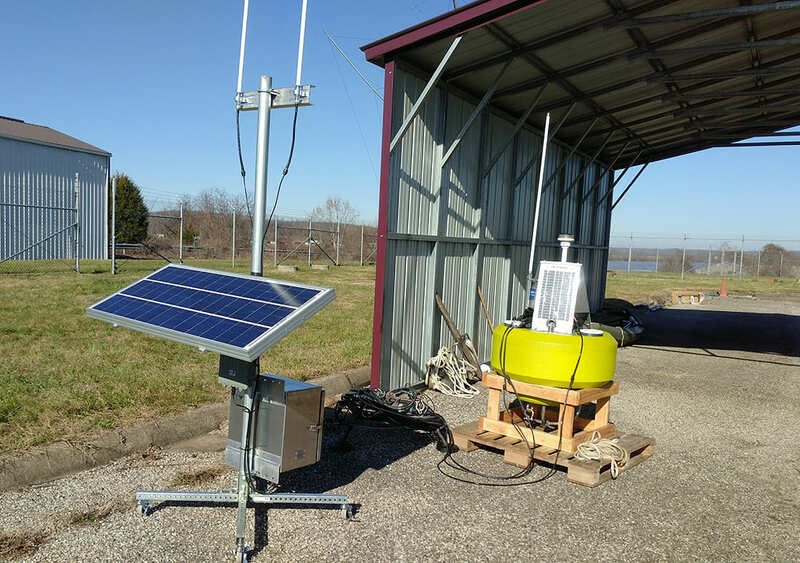 Aridea Solutions, an engineering company located in West Virginia, has trusted Libelium technology to assist in the development of the WIZARD (Water Intrinsic Zoological Ambient Research Device) Platform. The American company worked in October 2016 on a project for the US Army Corps of Engineers at Robert C. Byrd Locks and Dam to control mussels’ ambient and environmental conditions. The aim was to protect them when working in local rivers and streams. Robert C. Byrd Locks and Dam is the 10th of its kind on the Ohio River, located on the border of Ohio and West Virginia. There are 4 locks: one for the commercial barge traffic that is 1,200 feet long by 110 feet wide, an auxiliary lock that is 600 feet long by 110 feet wide, and 2 smaller parallel locks. As with all navigable locks, RCB requires dredging operations to keep the navigation channels open and operable. 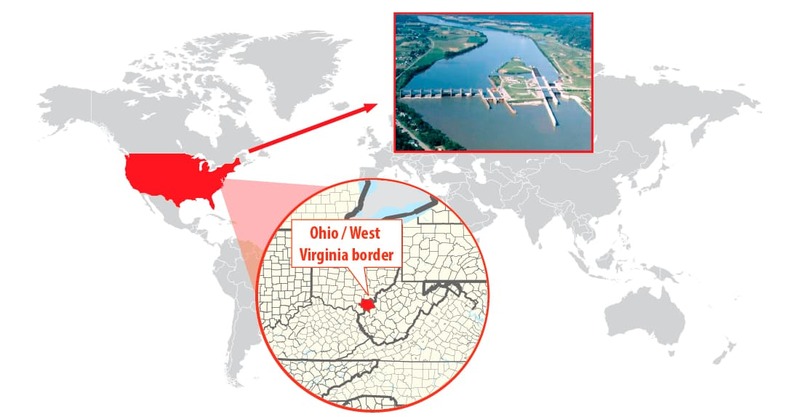 With an average of nearly 90,000 cubic yards of dredging material annually, channel maintenance needs at RC Byrd Locks and Dam far exceed average Ohio River navigation projects. Due to significant sedimentation below the project, presence of endangered mussels, and the importance of the RC Byrd navigation mission, dredging and disposal operations at RC Byrd require continuous scrutiny in order to best meet objectives. Intense monitoring of environmental factors downstream of the dredge disposal and adjacent to the valuable mussel bed includes turbidity, sedimentation, and dissolved oxygen. It provides real-time data transmissions to the District in order to control water conditions that could affect the mussels. 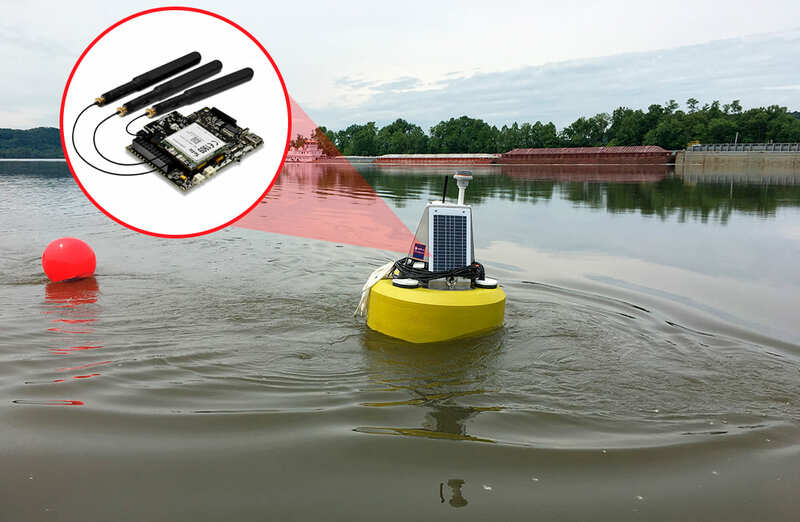 The WIZARD platform connects sensors to the Terralytix Edge Buoy, which is a solar powered communications buoy composed of the Waspmote Sensor Platform to record and send data; YSI 6920 to measure water depth and quality with a pressure transducer and monitor temperature (F), conductivity (uS/cm), depth (m), pH, turbidity (NTU), dissolved oxygen saturation (%) and dissolved oxygen (mg/L); and SeaTek Transducer Array installed to sediment build-up and depth with an ultrasonic ranging system. The Seatek Transducer Array sends the data gathered by RS232 and the YSI Sonde through SDI12. The information is directly sent from the Waspmote Sensor Platform to the Aridea’s Terralytix Portal via 4G. 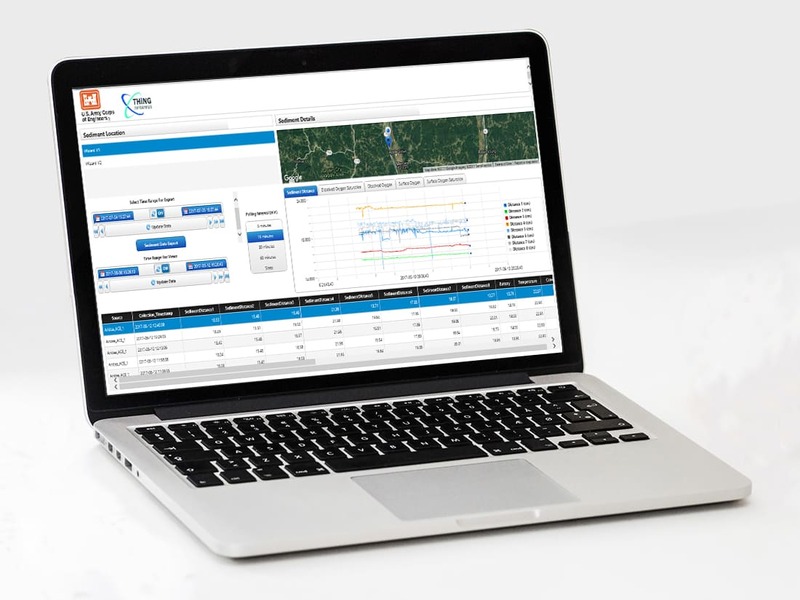 It provides an incredibly flexible solution that allows the collection and aggregation of multiple environmental parameters through a single interface utilizing off-the-shelf sensor technology. “Libelium allows rapid solution implementation with its compatibility to a wide range of industrial protocols. It also provides an excellent library of code examples allowing maximum flexibility in engineering solutions for our clients“, affirms Rob Moore, director of Engineering at Aridea Solutions. The main goal of the project has been to monitor and minimize the effects of dredging activities on the local mussel populations. 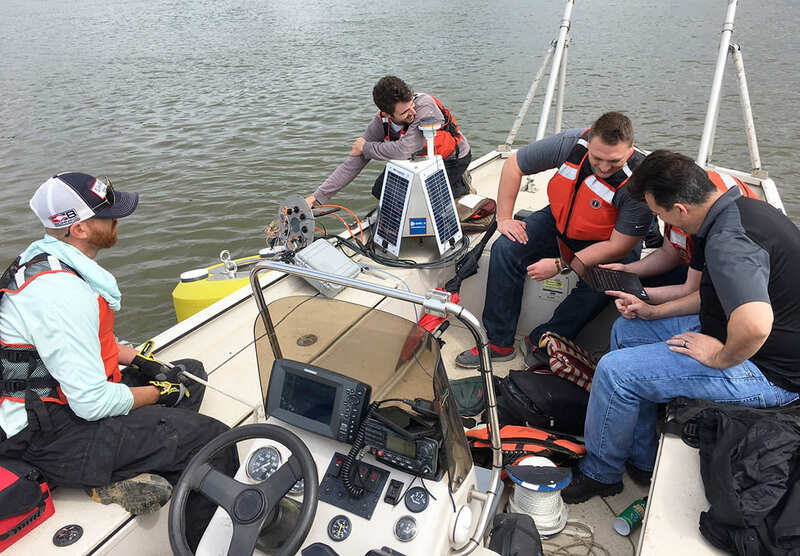 For this reason, Aridea has delivered a robust field deployable sediment deposition and scour platform capable of recording and sending data at a minimum of 5 minute intervals. For the protection of mussels, the gates on RC Byrd Locks and Dam are now being used in ways never intended, by steering the currents created by alternative gate operations to direct sediment away from the mussel beds. The WIZARD platform is capable of being deployed without divers from 3 to 20 meters of water in the Ohio River from a boat. 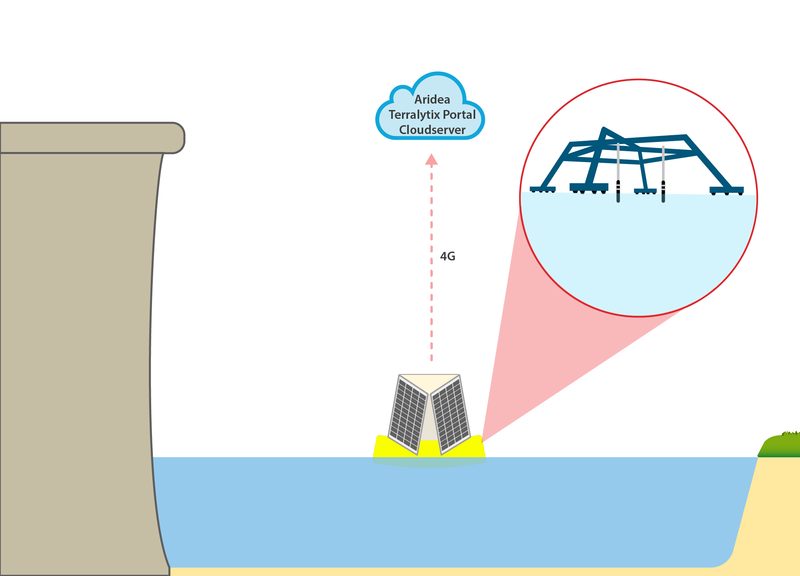 It has enabled the US Army Corps of Engineers to wirelessly obtain data from the bottom of the Ohio River during active dredging without the expense and safety risk of deploying divers into the river. “These innovations have been well received by our partners in other State and Federal Resource Agencies and have allowed the District to continue cost effective in-water disposal operations”, Steve Foster, Limnologist at US Army Corps of Engineers, has pointed out.